A few weeks back, I had lunch with the guy I had been dating at the time. Not the right man for me, but we had many fun times together. I appreciated that this man knows and enjoys so many places around Milwaukee. He introduced me to some very cool places. 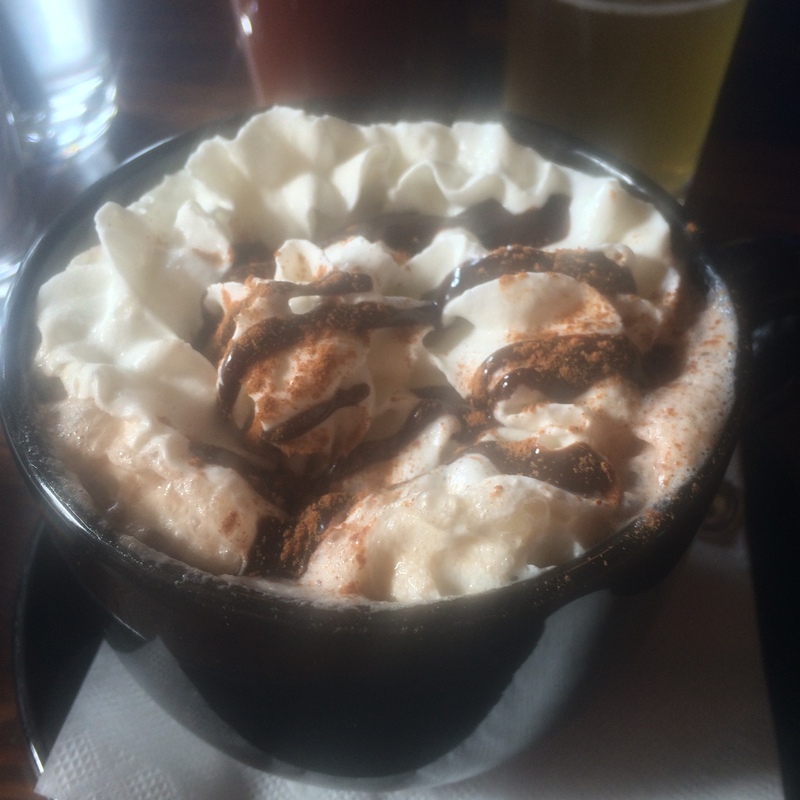 One of those times was at Trocadero Gastrobar on Water Street near Brady. I had never been to Trocadero, and, I was in for a treat! Please let the photo speak for itself! 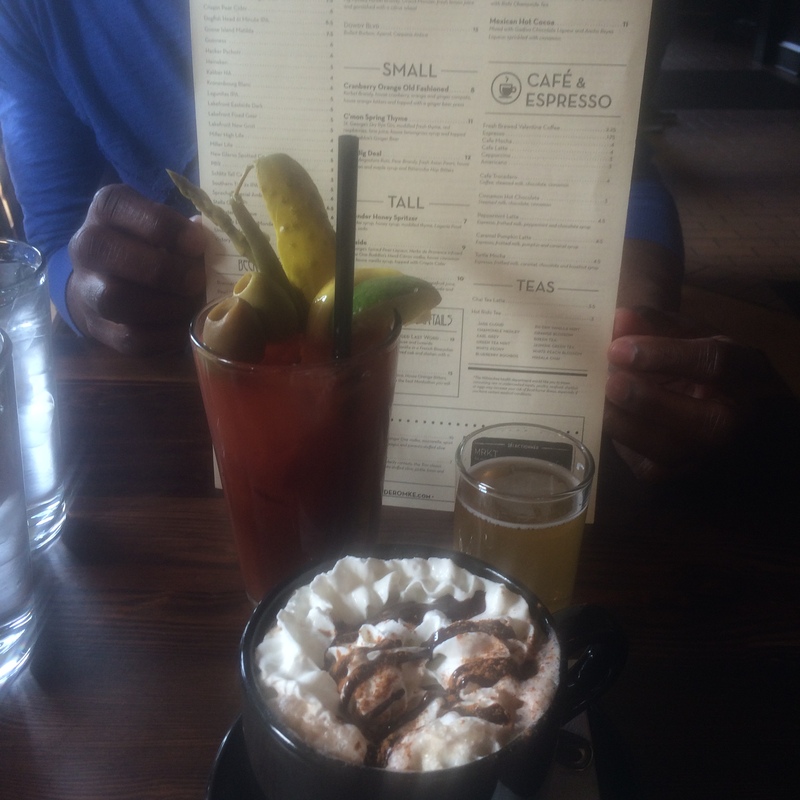 My brunch companion decided to have the spiciest jalapeno Bloody Mary on the menu. It did have good flavor, for sure! Quite a bite, as he once or twice had to “recover” from the “hot hit”. He doesn’t appreciate photos being posted, and although we’re not together any longer, I certainly respect his wishes. So, I’ve superimposed (comically, and in a way that will make any “creative type” cringe) someone with whom I’d adore having brunch! Ever since he appeared on Alias almost 15 years ago, Michael Vartan has had a major fan here! 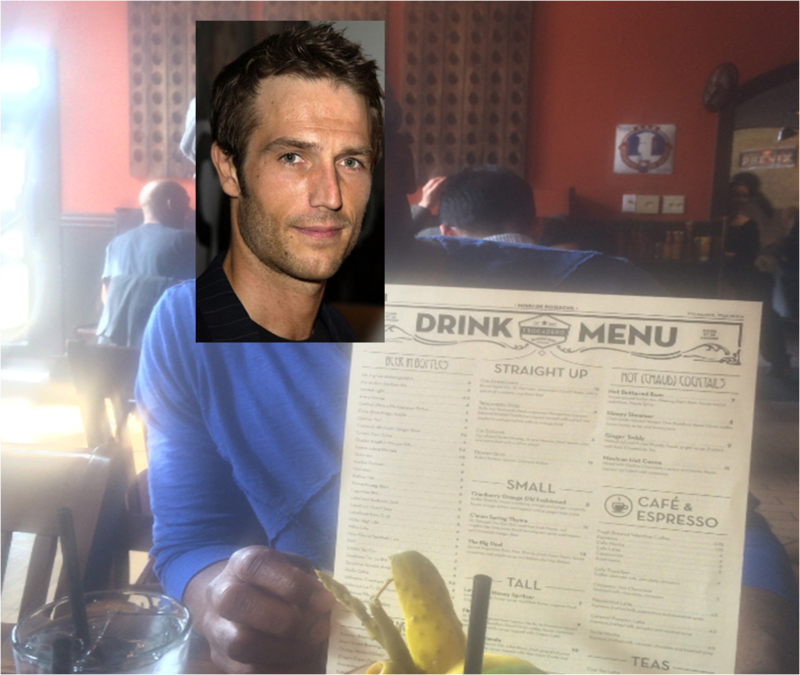 I include the picture at all because he was holding up the menu…a key piece of information! Plus, my then boyfriend was kindly helping to make the picture a bit more interesting. His idea, as he supported my unusual dining habits and my blogging. 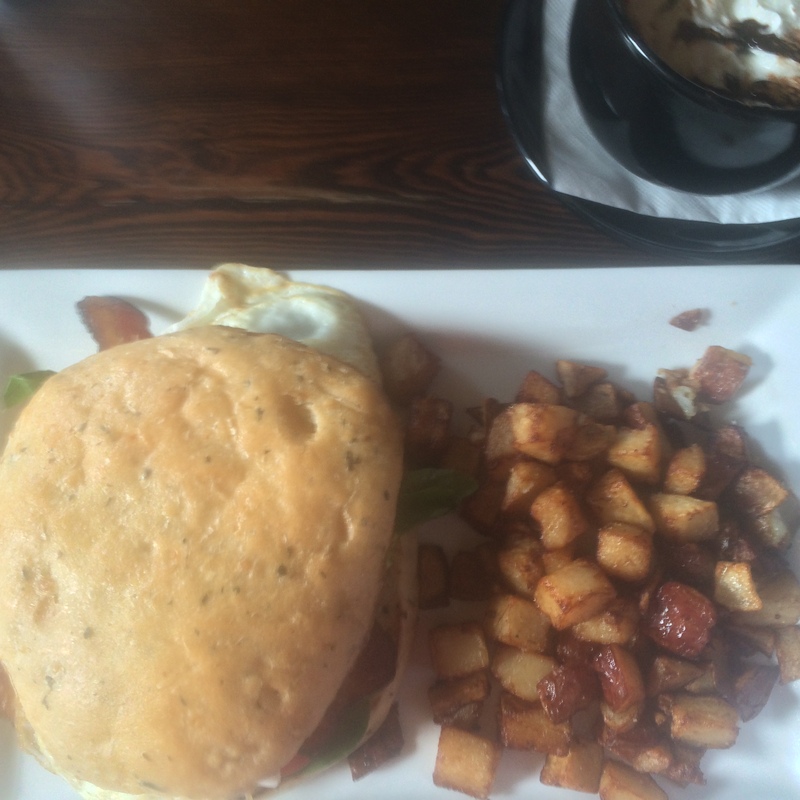 For brunch, I had the BELT – bacon, fried eggs, lettuce, tomato, garlic aoli, and Breadsmith herbed focaccia. I had asked for avocado to be added to it, but alas…the one downfall of Trocadero Gastrobar is that they don’t offer avocado on any dishes. Boo to that! Still, it deserves to be mentioned that the bread was so soft and delicious (not like any focaccia I have ever had! ), and the sandwich was just fabulous! The picture does not do the sandwich justice! Trust me, it was SO good! He had the biscuits and gravy (Southern roots coming out, y’all?). House-made cheddar biscuits, white country gravy, two eggs. A large portion, but I can tell y’all that this man was pretty darned happy with the choice. We both really enjoyed our respective meals tremendously, and each others’ company very much. A lovely late morning/early afternoon out in our beloved Milwaukee. 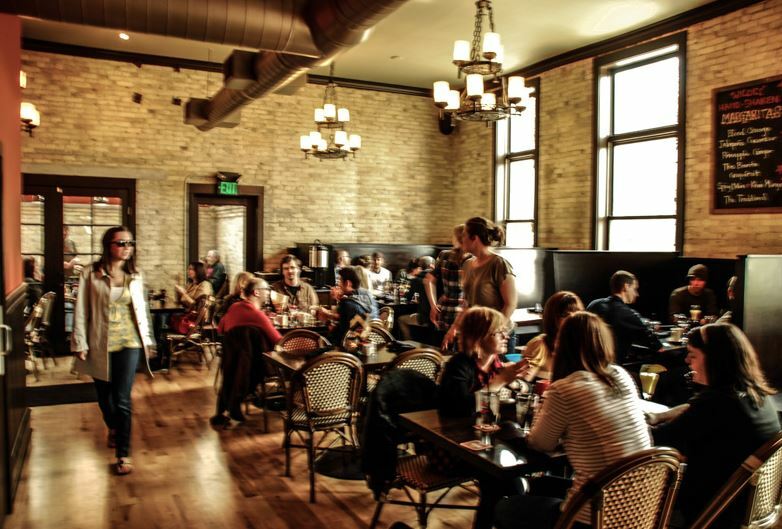 Plus, the atmosphere at Trocadero is quite casual and cool. Unfortunately, all good things seem to come to an end, and we ultimately determined we were not a good fit for each other. Perhaps we’ll find friendship together, but in any case, I wish him happiness in life. I had originally reported that this was the weekend of NCAA March Madness consumption. I was a week off. 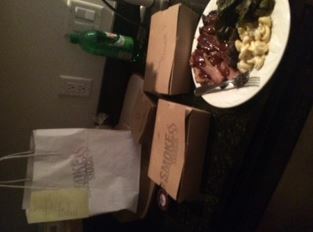 It would be a week later that we decided to sit on the couch and watch NCAA basketball, and eventually ordered Smoke Shack BBQ to bring home. Yum, yum, yum! 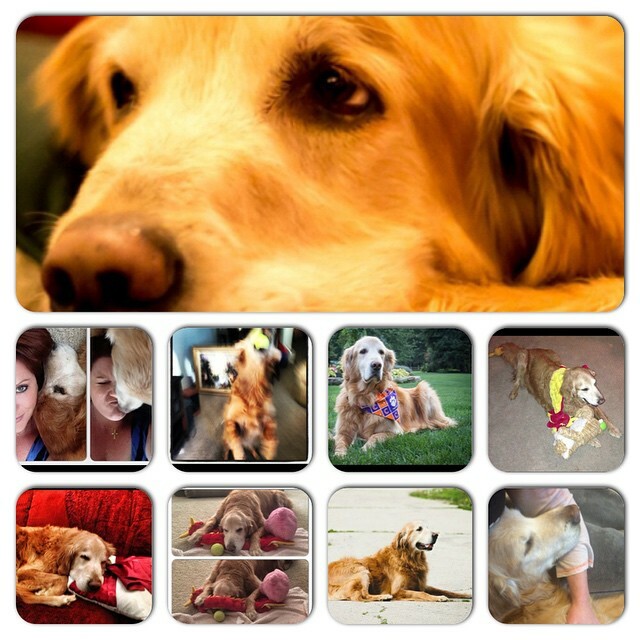 It was also the day that I watched my baby of 13+ years begin to lose the use of his hind legs, and would ultimately experience the single most difficult day of my life…saying a tearful, heartbreakingly sad goodbye to my Seamus. I was blessed to have this gorgeous goofball / knucklehead / ever-loving, angel of a baby live 14+ years (13 with me, after surviving and thriving after being rescued from an abusive home). It has SUCKED to say the least, but I know that I will recognize that the good times will far outweigh the sorrow – in time. RIP, my angel. I could not have loved you more, my sweet baby.